Dreaming of becoming an entrepreneur? Planning to start an online business? “I’m convinced that about half of what separates successful entrepreneurs from the non-successful ones is pure perseverance.” – Steve Jobs, Co-founder, Apple Inc. Starting a small business or aiming for something big. Successful businesses have nothing to do with the size or platform of your business. It is only concerned with the correct blend of true marketing facts, creative & achievable ideas along with strong vigor! With O2O (offline to online) skyrocketing at an unbelievable pace, the competition has reached its peak. Amidst all this competitive wave how can you stand out? Let’s understand this with the help of an example: You are looking forward to starting your own business online, an e-commerce fashion accessories website. Maybe you have already planned your business, product, and other details but did you consider what your audiences are looking for? It is a myth that you know your audience. Many times what they want and what you provide is absolutely opposite. 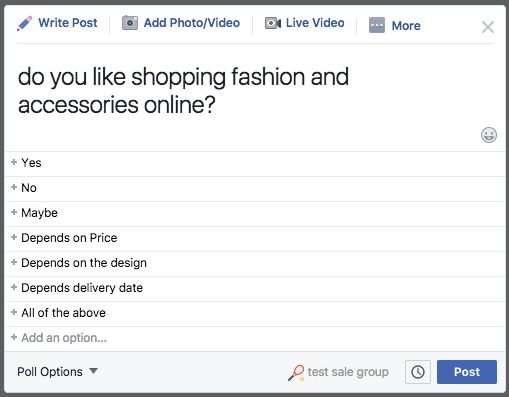 Social Media Polls: Facebook has an amazing inbuilt tool for marketers to win the majority via polls. You can put up your question in a poll format on your wall or some business related page. Email Surveys: People do read emails! As per Smart Insights, the open rate of e-commerce emails is 16.75%. Conduct your product survey via emails and MailChimp will guide you with clear insights for your campaign. Search Engine Optimization (SEO): Login into Google Keywords and get accurate ideas for your search. For example, if you search E-Commerce, carefully note down all the searches that pop up. If you think the results from Step 1 match is in line with your business ideas, then go ahead. But if in case the audiences have different needs, it is recommended to look into their needs first than trying to push and sell your ideas. Give importance to your audience and the chances of your business increasing exponentially are really high. After completing steps 1 & 2, setting your product and/or marketing plan shouldn’t be that painful. Engineering your product (your website, products on display, etc.) in such a way that it is easy to use by all is important. Bootstrapping or Self-funding: As a founder of your e-commerce website equip it with most of what you have in your pockets if not all. Bootstrapping is the key to kickstart your venture journey. It is considered to be the most effective and inexpensive way to ensure your business’ positive cash flow. Friends & Family: Here, you go and reach out to your inner circle of people for investing in your idea/online business. However, it is not advisable to not have too many people in your investors’ panel initially. Reliability is the key here. Seed Funding/Seed Capital: This is the initial stage of raising funds or investments from outside. Seed funding can be done by an individual or a group of investors usually termed as angel investors (semi-professionals, who were or are founders of companies themselves). Venture Capital: In this round of investment, your firm is either the most profitable or could revive all the negative cashflow afresh. Sighting these possibilities a venture capitalist will pump in funds in your company system. Mezzanine Financing: This is the final round of investment before you go all out to the public. Here, your company is growing not only in terms of resources but also in its operations. It is valued over several million if not billions. Most of the startups sell off before entering this stage. IPO: Initial Public Offering is the very first sale of stock issued by the company to the public. After the IPO is issued, the company becomes public and doesn’t remain private anymore. In order to grow and expand, a company raises a huge amount of money by going public. It is not the end goal of all startup businesses. You can also directly pitch your business ideas at leading networking events such as CodeUp and UpStart. Select at least one suitable and unique name of your company. Online application to the concerned RoC to ensure availability of the company name. Form 1, 18 and 32 need to filled and submitted within 60 days of company name approval. Draft, vet and print the memorandum and articles of the association by the solicitors. Arrange for appropriate stamp duty of the memorandum and the articles. Attest the memorandum by at least two subscribers with specification mentioned. Check all the details once – date, signatures, stamps and so on. Login to the portal and submit the form along with other mandatory documents. Domain name is the face of your e-commerce site. For example, www.xyz.com/in/net and so on. XYZ is could be your brand name or its abbreviation. Tip: Let your domain name relatable, short and memorable. This will increase your audiences’ brand recall rate, awareness and hence sales; broadening your online business opportunities and scope. As introduced, online businesses are upscaling rapidly and hence there are many web hosting services offered for free. If you are serious about running an online business for a really long-term in the future then it is better if you buy your own hosting services. Customized or paid services are flexible enough to provide you with all that you need for your site – templates, structure preference, code your own program and so on. Opt for a service which allows you to grow – upgrade or update regularly. One of the main advantages of an online business is – it can be accessed anywhere and anytime. Use this advantage to the fullest by making your site mobile savvy. Social Media Marketing: Promoting your business on Facebook, Instagram, Twitter. Content Marketing: Making optimal use of blogs, videos, images and so on, to create awareness about your business. Search Engine Marketing (SEM): SEM is a paid form of optimizing search engines. It poses as a top result for any organic search, depending on which keyword you want to show up for. Viral Marketing: It’s a mixture of referral and influence marketing. 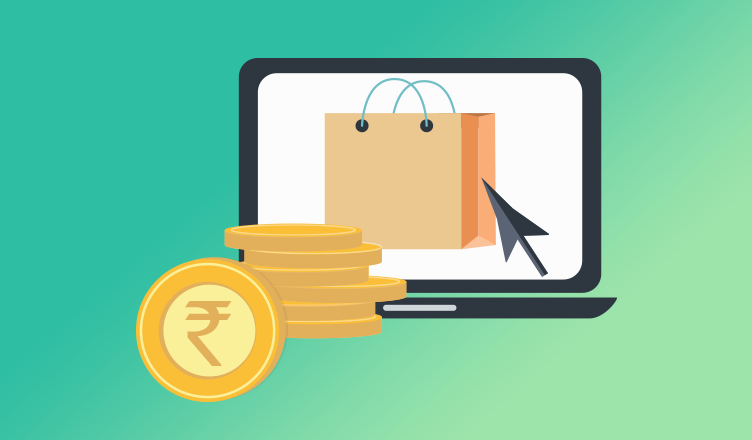 Your customers will influence their friends to make purchases from your site and in return, you reward them with some incentives like coupons, cashback offers, free gifts and so on. Email Marketing: It is all about directly communicating with your audiences. You won’t know your success unless you measure it. Know who viewed your e-commerce website or web app? How many times and for how long? Google analytics is the key ingredient followed and trusted by all. The business analysis gives you a wider and brighter picture of what is working and what isn’t. This information helps you to strengthen your online business and guides you to move on the correct path without any major losses. This cycle is vicious and isn’t completed without a valuable feedback. Seeking for feedback always makes you stand tall as a learner and a businessman of quality. Your customer feels open and caring when you give them some space to speak out their minds about your product or business. Respect your audience and what you get in return is definitely priceless! Starting an online business and climbing the success ladder holding it upright is a choice of the matter. There are many businesses which came to life and died before their expiry. But the ones who sustained, are smart players wanting to make it big and better not only for themselves but for all.